Andres Manuel Lopez Obrador made his way to Mexico City’s National Palace as a passenger in a Volkswagon sedan, as photographers riding on the back seats of a swarm of motorcycles tried to capture an image of Mexico’s next president. Before the car could come to a full stop at the palace a stampede — part media, part fans — rushed toward it. 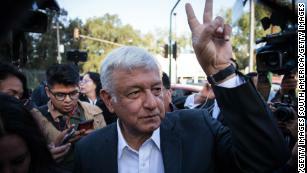 Cameras flashed and reporters talked over images streaming live on social media and broadcast on television before Lopez Obrador’s meeting with current President Enrique Pena Nieto. Fans shoved their way through the crowd in hopes of a handshake or a selfie with the man known as AMLO. Who is Mexico’s Andres Manuel Lopez Obrador? The former Mexico City mayor and three-time presidential candidate attracts attention like a magnet. Some of that interest is no doubt due to comments he has made that seem to suggest a brighter future for Mexico and its relationship with the United States. 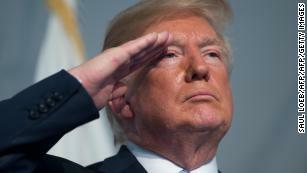 In the week after Mexico’s historic election, in which a new political party founded by AMLO, the National Regeneration Movement or MORENA, triumphed over two parties that have governed Mexico in the past, the leftist politician has struck a polite tone toward President Donald Trump. In speeches and interviews he has declared his desire for friendship and mutual respect. There certainly are similarities between Trump and AMLO. Both are headstrong nationalists who tout being an outsider and feed off the adoration of massive crowds. “We are going to change the relationship, and Trump is going to learn to respect us. 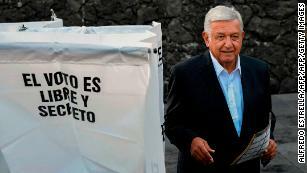 I can guarantee you that,” Lopez Obrador said during a presidential debate in May. How long the apparent honeymoon period will last is anyone’s guess. “They have to have a face-to-face fairly soon so they can size each other up,” said James Jones, who met AMLO in Mexico while serving as US Ambassador during the Clinton administration. US Secretary of State Mike Pompeo is scheduled to visit Mexico on Friday to meet Lopez Obrador and discuss immigration, commerce, security and development. AMLO is expected to take the presidential oath of office in December and officially begin the task of tackling a raft of volatile issues that have become ever more contentious and soured US-Mexico relations since Trump won the presidency. 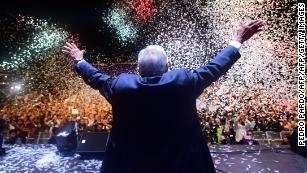 AMLO is known for his blunt delivery, and pragmatic approach to politics. “He is not anti-American, but he is very much a defender of Mexico,” said Jones. 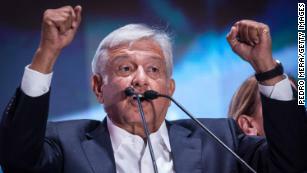 Like Trump, Lopez Obrador, 64, campaigned on a populist platform, vowing to tackle violence and the “mafia of power” at the root of corruption in Mexico. While voters say it was his take on domestic policies that resonated and led to his landslide victory, AMLO did not shy away from criticizing Trump and his policies. As Trump continued at rallies to tout plans to build a wall that Mexico will pay for, AMLO used his own campaign rallies to criticize the idea. Last year, AMLO also published a book, “Oye, Trump” or “Listen, Trump.” In it, he also pushes back against Trump’s wall proposal. As Trump’s zero-tolerance immigration policy sparks controversy over family separation, Lopez Obrador has vowed to protect the human right of immigrants, and suggested tackling economic development in Central America to create jobs and minimize the need for migration. During a presidential debate, AMLO indicated his administration would stop doing the “dirty work” for the United States by detaining Central American migrants. Last year, Mexico detained 80,599 Central Americans and deported 78,309, according to Mexico’s Ministry of Interior. Trump imposed steel and aluminum tariffs last month. Mexico, the third-largest trading partner to the United States, fired back, slapping tariffs on US exports including pork, apples, cheese and bourbon. “They know how to create some pain, if the United States isn’t fair to Mexico,” Jones said. The back-and-forth comes as Canada, Mexico and the United States continue to renegotiate the 24-year-old free trade deal that Trump has threatened to tear up, if a new deal does not protect US interests. According to the US Chamber of Commerce, more than 1.7 million US jobs depend on trade with Mexico through the North American Free Trade Agreement. Lopez Obrador has pushed for more support for Mexican small-scale farmers and has been critical of NAFTA. But after much pressure from Mexican business leaders, AMLO has not only agreed to support its renegotiation, he’s even found some common ground with Trump. During a debate in Tijuana, he indicated he was in favor of an increase in wages for Mexican workers. “If Mexican factory wages are increased and have a formula to increase, then less jobs are going to go south just looking for cheap labor,” Jones explained. Duncan Wood, director for the Wilson Center’s Mexico Institute believes Lopez Obrador will not sacrifice everything for the deal, but will make an effort to move forward with the renegotiation. “Andres Manuel wants to come to an agreement. He’d like to see it sooner rather than later,” Wood said. AMLO doesn’t believe there will be a trade war with the US, and has already tapped a transition team to be part of the renegotiation. In the week after his election, AMLO met with the Consejo Coordinador Empresarial, a business chamber in Mexico and supporter of NAFTA, to shake hands and indicate respect for the private sector. For the sake of security, Mexico and the United States have shared intelligence and law enforcement cooperation for decades. “There are strong indications that the (AMLO) administration is willing to continue cooperating with the US,” Wood said. 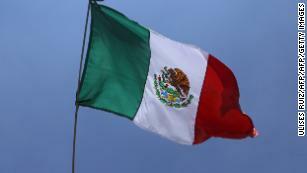 Homicides have surged in Mexico, as has illegal drug production. The United States needs Mexico’s cooperation to crack down on drug trafficking, especially in the heroine and fentanyl fueling an opioid epidemic currently claiming an average of 115 opioid overdose deaths in the United States each day. The US has to date delivered $1.6 billion in equipment and training Mexico to support security efforts through a bilateral partnership called the Merida Initiative, launched in 2007 by the Bush administration. 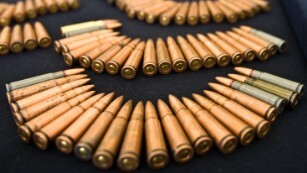 Mexico often highlights the need to reduce drug consumption in the US, and reduce illegal firearms trafficking into Mexico. Lopez Obrador believes the best way to tackle violence and insecurity is to combat poverty. “I proposed (to Trump) to explore a comprehensive agreement for development projects that generate jobs in Mexico, and in turn, reduce migration and improve security,” he tweeted the day after his election. Lopez Obrador will have a 5-month transition period to fine-tune his plan to run the government of Mexico, and his approach to a relationship with his powerful neighbor to the north. “Both Trump and Lopez Obrador need to give a lot of creative political thought to what it would take to help each other with their constituencies,” Jones said. Meanwhile, between now and December, a tweet or rally could change the tone and extinguish the optimism in a moment.